With boundless options and limitless portions, buffets give you the biggest bang for your buck. 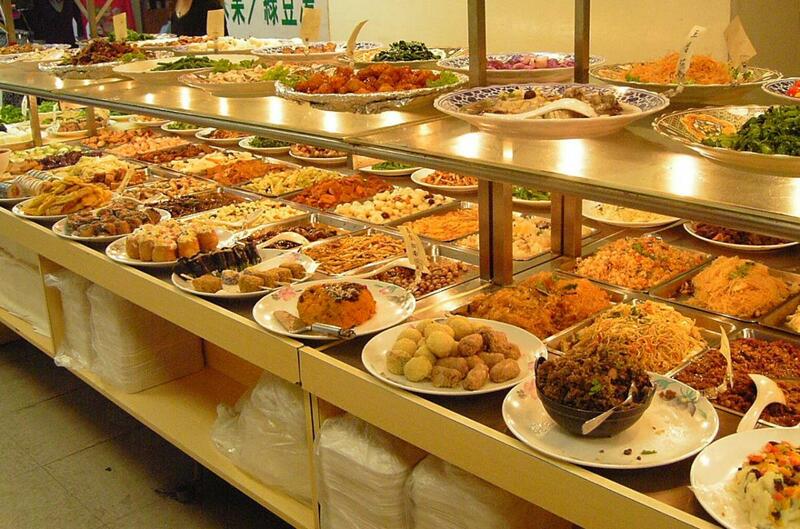 Check out our list of the best all-you-can-eat buffets in Tampa so you can feast and save! An authentic Brazilian steakhouse with Texan flair, Texas de Brazil is a meat lover’s dream with different cuts of beef, lamb, pork, chicken and Brazilian sausage. Their salad bar is the size of Texas with over 50 appetizers, gourmet vegetables, soups, and salads. Find this unique restaurant in Tampa in the Westshore Area across from International Plaza and Bay Street. The best value on our list, Lemon Grass Thai's buffet is definitely worth trying at under $10 per person. This buffet offer the best of Thai cuisine including curry dishes, spicy chicken entrees, mixed vegetables, white and fried rice, chicken drumsticks, tempura, egg rolls, and soups. Curry Leaves sets a new benchmark in the restaurant history of Tampa by offering delicious, high-quality Indian cuisine at reasonable prices. Hao Wah's buffet is large and changes from lunch to dinner. Offering all you can eat shrimp and favorites like General Tso's Chicken and more they also have a soft ice cream machine. A feast for the eyes with Chinese, Vietnamese, and Japanese dishes as well as American favorites. Extremely affordable, large and open you always leave Hao Wah happy and satisfied with plenty of dough still in your wallet! You’ll feel like you’re in Ethiopia at Queen of Sheba where weekday lunch buffets include traditional meat and vegetable entrees made with a variety of spices. The experience is truly authentic as guests sit at straw-woven tables called mesobs, wash their hands in a basin before and after eating per tradition, and eat using injera, a pancake-like bread, instead of utensils. Sweet Tomatoes' monster buffet allows you to eat healthy and indulge with their massive salad bar, fresh fruit, pudding, kettles of soup, bread and pasta stations, and, of course, an ice cream sundae bar. Find coupons online to save at this clean, friendly all-you-can-eat buffet in Tampa. See also: Soul Plantation/Sweet Tomatoes Brandon and Sweet Tomatoes Carrollwood. Next time you go to Amalie Arena, make a reservation at Firestick Grill before the show and treat yourself to a full all you can eat buffet with soup, salad, appetizers, entrees, and desserts specially prepared for that evening. Jerk Hut Jamaican Grill in North Tampa near U.S.F. has a great Caribbean lunch buffet Monday through Friday from 11:00 AM to 3:00 PM as they serve delicious island favorites with love. Stepping into Biryani Cafe off Hillsborough Avenue is like stepping out of Tampa and into India with their authentic weekend lunch buffet. For just $12.99, you can get a taste of India by trying traditional dishes like Pakora, dhal, curry, biryani, and dosa. All-you-can-eat buffets often pose a temptation to dieters and those who are health-conscious, but Sweet Tomatoes offers salad, soup, pasta dish, and dessert that you can feel good about. See South Tampa above for more information. See Lemon Grass South Tampa for information about this delicious Thai buffet. Fred’s Market is a country-style buffet filled with mouth-watering meats and made-from-scratch sides. They have several different deals, but choose the MarketTable plate for all-you-can-eat fixings from every station. At Saffron Indian Cuisine, enjoy a buffet of authentic dishes that are delicious, colorful, and good for your health. Indian cuisine uses spices like turmeric, cardamom, and clove, all of which have health benefits and are proven to help with certain minor ailments. Find additional restaurants in Tampa and articles like Best All You Can Eat Buffets in Tampa by registering on 813area.com. Connect to everything local in the 813area: things to do in Tampa, events in Tampa, Sports, Travel, Family-Friendly events in Tampa and more. Your subscription is free!